Among other points, Vučić mentioned in his speech that migrants are one of the biggest problems Serbia is facing at this time and that more repressive measures will be taken in order to gain control over the irregular movement of people. One of the measures put into practice has been a “joint venture” of police and military in order to guard the southern borders towards Macedonia and Bulgaria. 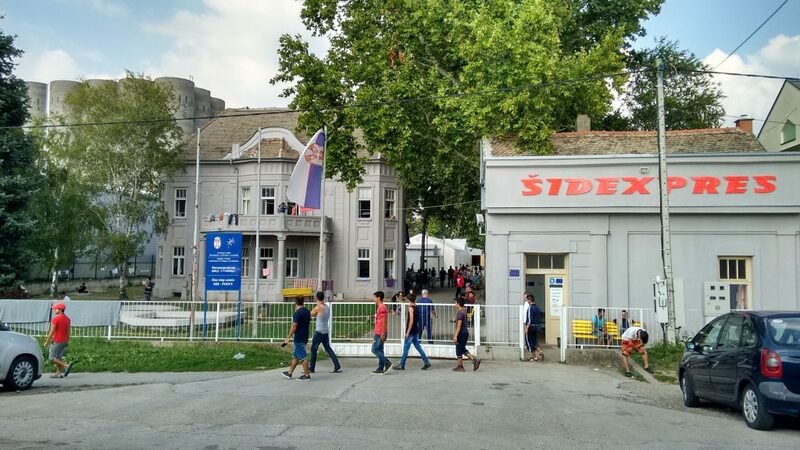 As of August 30, 4,428 people have been kept from entering Serbia by military and police units, while within the same operation 673 who were encountered on Serbian territory have been brought to official reception centers . The military officials don’t use the word “push-back” or mention any direct contact with the groups, rather they state that people “gave up” when they saw the Serbian forces. Thereby, Serbia maintains its humanitarian vocabulary used to distinguish itself from other Balkan countries like Hungary and Macedonia who boast with numbers of people they successfully pushed back. Which methods were used to deter people and why these 4,428 people did not apply for asylum in Serbia but instead went back is not mentioned. Probably the mere sight of a police officer is not enough to stop people from moving on, yet their stories and voices remain silent and invisible. 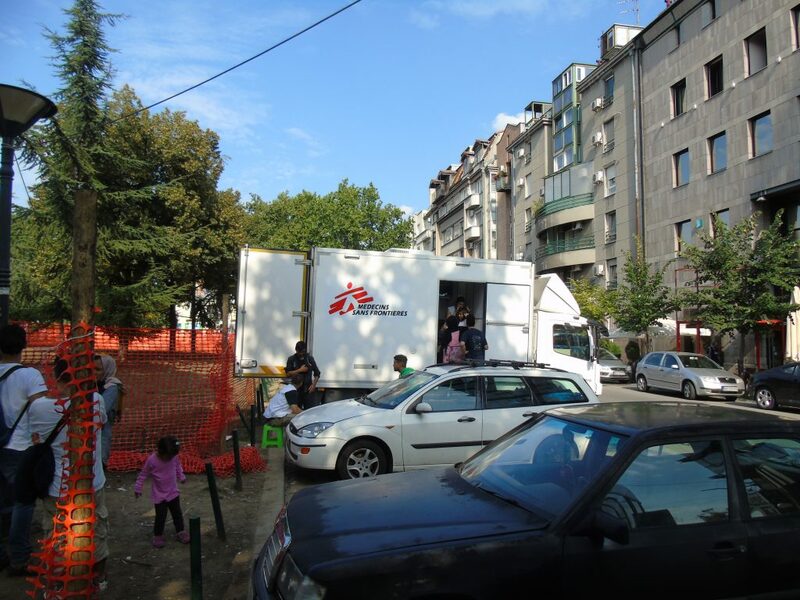 Ever since Hungary launched the push-backs, the number of people stuck in Serbia has been increasing on a daily basis. According to the Hungarian police, from July 5th to August 31th there have been 4,937 official incidents of prevented entries at the border and another 3,486 people who made it across the fence and got pushed back to Serbian territory [4 / 5]. Many of them came back to Belgrade and reported horrible experiences of violent encounters with the border police and private border patrols. Reports included tear gas, hand-cuffs, feet-cuffs, dog bites, pepper spray, shootings, and personal indignations (such as having to strip naked before being beaten up). Officially, there are now around 4,400 people stuck in Serbia . This number might seem confusing compared to the total number of 8,423 failed attempts mentioned above but it’s important to remember that one person can be pushed back many times. People arrive in Serbia, try to go to Hungary, are pushed back to Serbia, and then try again repeatedly. And while a small number of people always manage to cross, there are also new people who arrive in Serbia. These days, even more people can not afford a smuggler to Hungary. If there is one fact about migration, it is that a closed border most of all means rising prices. Therefore, just a small “elite” of those who can still pay the dictated price are able to move on with smugglers. But prices are skyrocketing, standing around 1500€ for one person only as far as Hungary which used to be 150€ some months ago. At the same time, with the establishment of joint police and army patrols on the southern borders, the amount of people who reach Serbian territory in the first place is decreasing significantly, from an average of 300 to 200 daily arrivals, according to UNHCR estimates . However, for those stuck in Serbia, the conditions have become very humiliating and devastating. 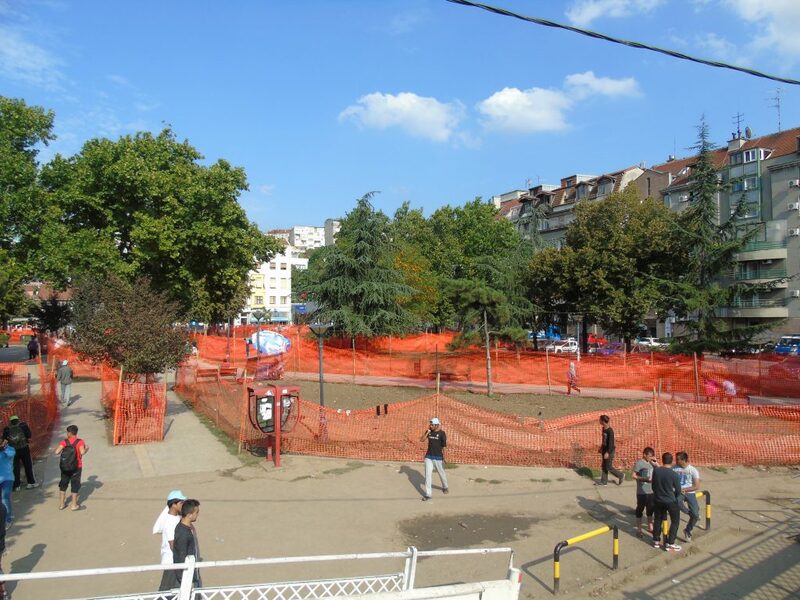 The most visible measure against migrants in the city center is the ongoing destruction of the parks, which they use to meet, exchange information and obtain aid. For months, the Commisariat made tedious efforts to chase away anyone who set foot on the grass. 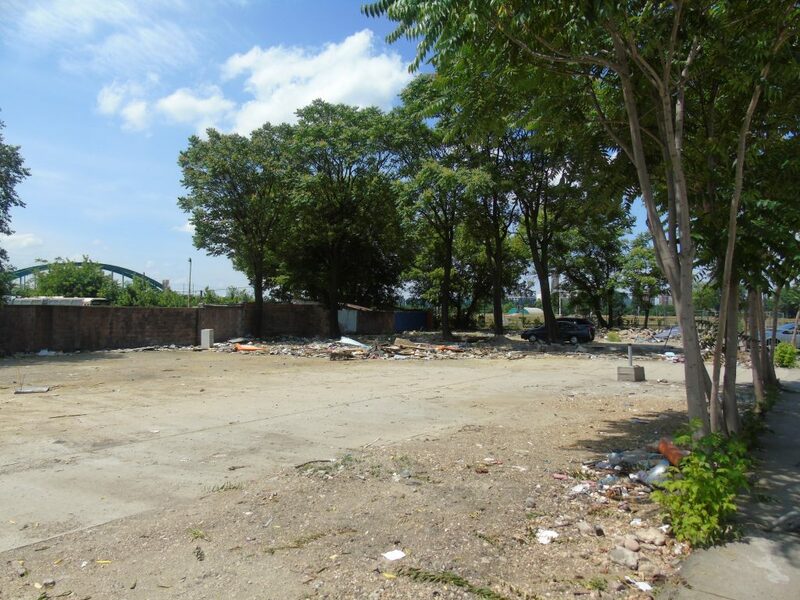 This came to an end on July 25 when big machines entered the park and dug up the whole ground. 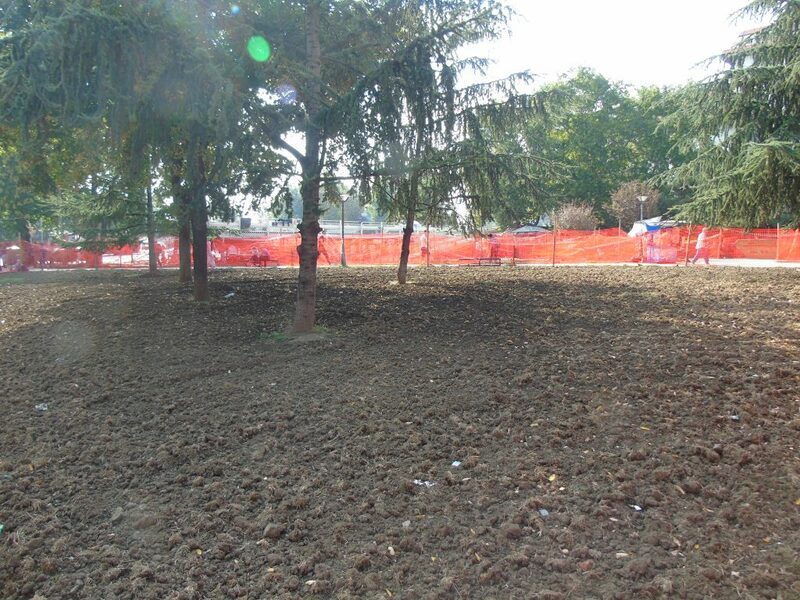 Officially, the objective was to “renew the grass” – which is obviously nonsense in summer season with temperatures around 38°C and too dry of a climate for plants to grow. Some officials openly admitted that the goal of the action was “to keep away the migrants” – and more than one month later still no grass has been planted. In a second step, the devastated areas were fenced off with head-high (ca. 1.80m) orange plastic fences. For those still sleeping in the parks, only the concrete walking paths were left available. Even worse, the municipality sometimes waters the parks at night (the concrete, not the soil) making it impossible to sleep there. By these measures the accessible space is very limited and the fences not only became a barrier but also dividers in a very literal sense. If the government intended to make the parks look as if migrants were a problem, then they succeeded. Now, neighbouring people gather every evening in the park, exchanging and complaining about the migrant community, a visible sign to make people feel unwelcome. The once open and public space used and inhabited by an ever changing community of people transiting and by local people going to university or walking their dogs has been made unlivable and unenjoyable for everyone. 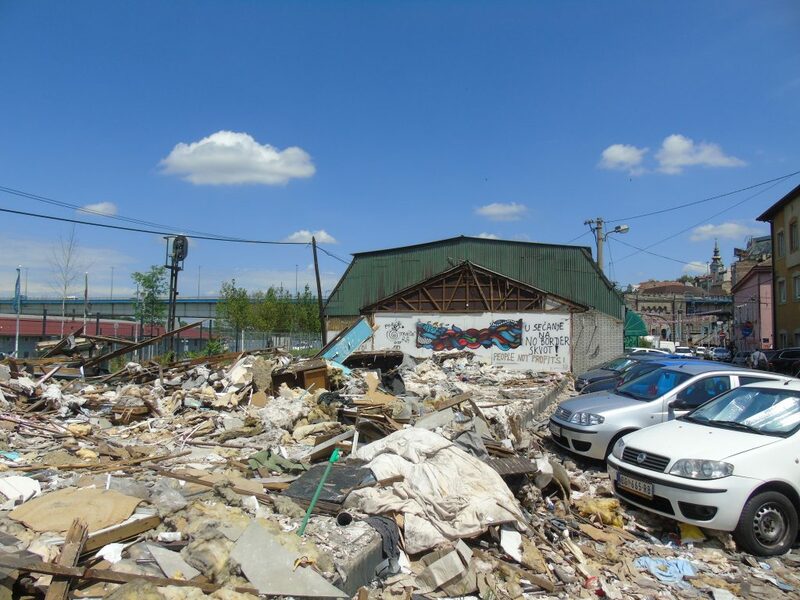 It is important to bear in mind that all of this is happening right in the district of Savamala, the area of the planned “Belgrade Waterfront” investment project. 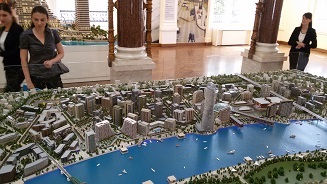 According to their plans the whole area will be changed completely in a high-speed gentrification process, involving evictions of the local population and destruction of a whole part of the city to make space for hotels, shopping malls and office buildings. The repressive presence of police and Commissariat is increasing in both numbers and in behaviour almost on a daily basis. Their actions turned into a constant harassment against migrants. People have been prevented from laying down on the grass (before it was destroyed), have been asked for papers every morning and been pushed to go to the camps continuously, have been poked with flashlights in order to leave the grass, bench or wherever, and even have been threatened with deportation to Macedonia or Bulgaria for not following the orders . The behaviour changes significantly with presence of international and local volunteers in the parks who monitor the situation and interfere in case of violence, false promises or lies. When they are not around the behaviour becomes even more rude and disrespectful. People have repeatedly reported that Commissariat workers kick and push people who lay down, shout at them in a dehumanizing manner and express racist comments. With the increasing number of people stuck in Belgrade and Serbia, the authorities started to pressure people to apply for asylum and go to the camps. On a daily basis, buses leave from the parks to Krnjača (in a suburb of Belgrade) and to other camps all over Serbia. Until mid-July, it was fairly easy to either stay in one of the camps with the option of leaving it at any point or to stay somewhere in town. This policy changed after a meeting of the group for coordination of security agencies and the police and Commisariat are now showing more intention to actually bring the laws into practice. The pattern of behaviour is very obscure, and it is almost impossible to give advice to people these days. 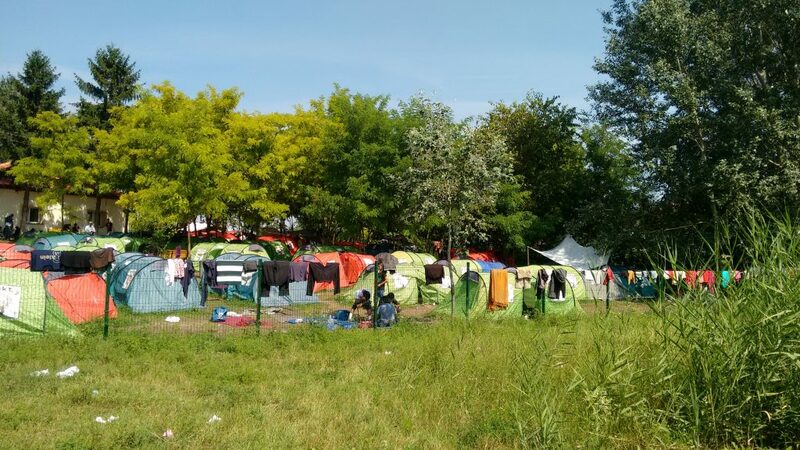 For instance: Some people have been kept in Krnjača for days until they would register (fining those without registration with worse food and living conditions) and then sent to other camps. There is no chance to get “Krnjača,” “Šid,” or “Subotica” written on the registration paper, but people can go there and register themselves. As most of the camps are further away, the fear of being sent there makes new arrivals even more reluctant to register. 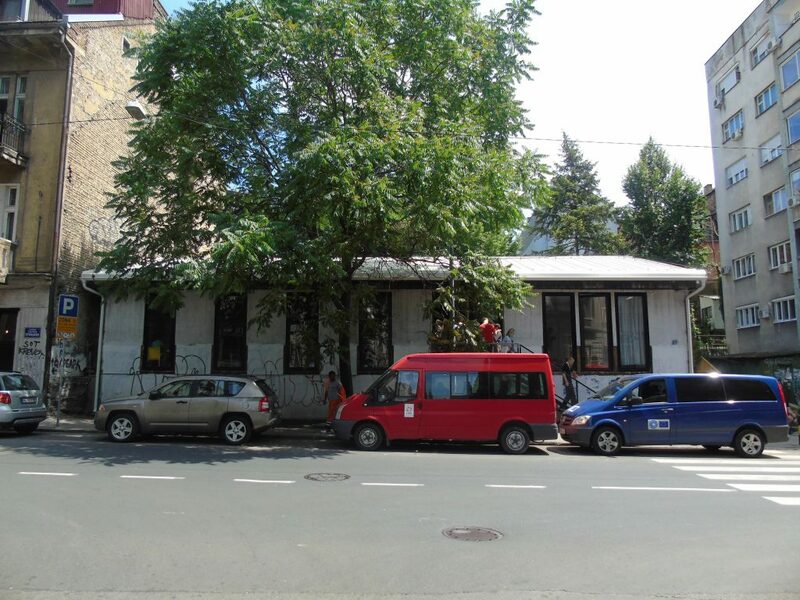 In the beginning of August this led to the absurd situation of empty beds in Krnjača while at the same time people had a hard time finding a place to sleep in Belgrade. The official policies of the registration papers for the camps are also very intransparent and incoherent. Two different papers have been issued in the last weeks, one of them designating the exact camp where people have to stay, the other one not mentioning any specific place. As the directors of the camps are in charge of deciding whether or not people can leave during the day, there is no universal information regarding whether they are open or closed. 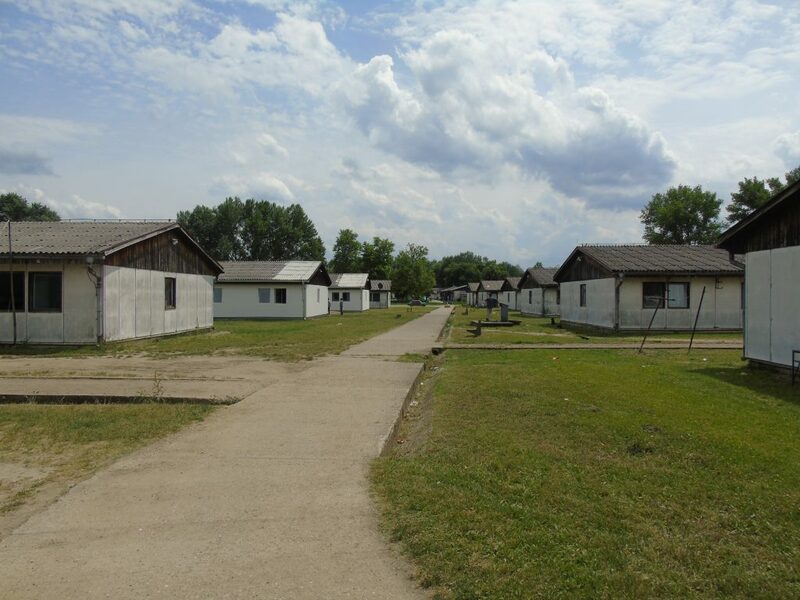 Rather, in camps like Krnjača or Preševo the policy of leaving was changed several times, causing people who believed they were going to an open camp to be locked up inside for days. Those working with migrants have to call the authorities each morning to learn what the situation in the camps is – including official institutions like Asylum Info Center and Commisariat workers in the parks. 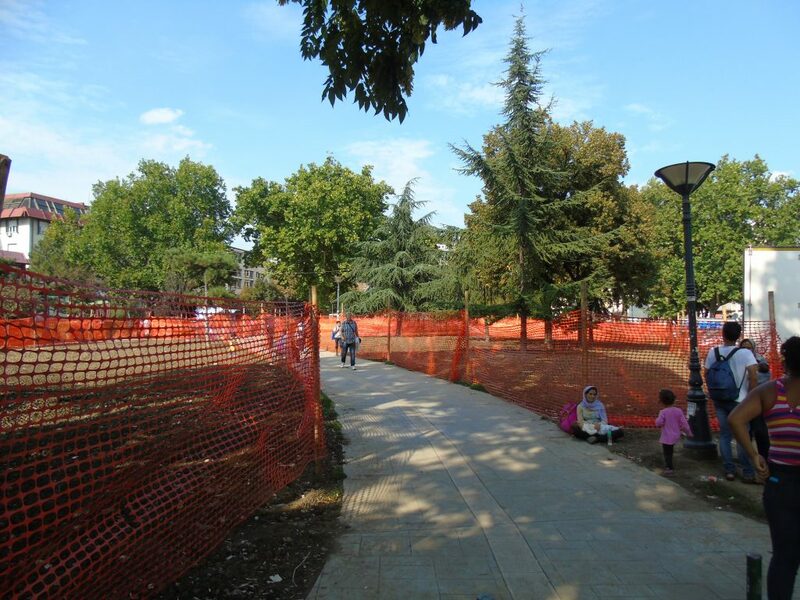 Even the decision whether people are allowed in the public parks can change from day to day. This strategy of intransparency leaves everyone in a state of confusion and insecurity since what you know today might not be valid tomorrow. The authorities manifest their hierarchical position of “being in charge” to the extent that the current legal grounds have to be requested on a daily basis. In this situation it is almost impossible for migrants to plan their actions and their personal capability to act is limited to a minimum. This leaves people with the option of complying with anything that is decided from above or staying outside of all official support. Technically speaking, applying for asylum has only minor influences on parallel asylum processes in other countries as Serbia is not part of the Dublin agreement. Nevertheless, most people have had bad experiences with police and other officials and simply do not want to go to the camps in the outskirts of Belgrade or in the middle of nowhere where they are invisible and without the facilities they need. Having been displaced several times, the attempt to keep every migrant in camps is a measure of dehumanization and indignity, turning them into objects of control and “removing” them. Locking them up in invisibility, Serbia is restricting the Freedom of Movement of all migrants in a very literal way. 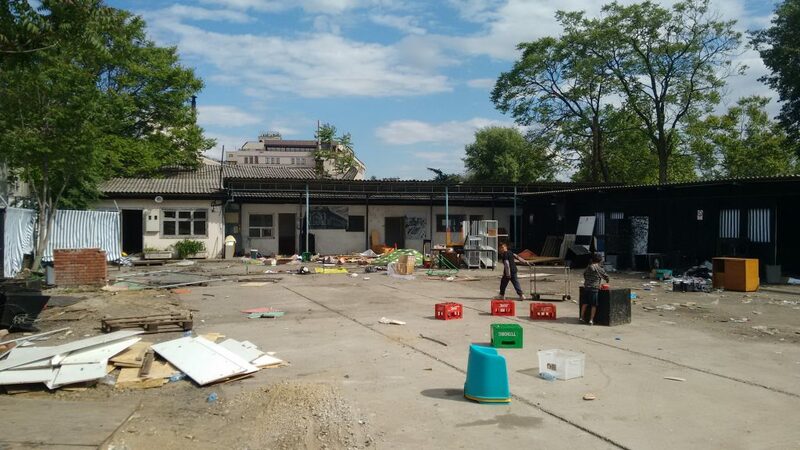 On August 11, the police and Commissariat made use of the free capacities in Krnjača and evicted both parks in Belgrade in a joint action. That day, the parks were surrounded by four buses and 20-30 police officers accompanied by a bunch of Commissariat workers. Everyone was told to enter the buses and go “to the camp” (not knowing which one). People also reported that they were threatened to be deported to Bulgaria or Macedonia if they refused to get on the bus. Furthermore, the parks were declared as off-limits, “locked” for everyone without paper and it was said that anyone who steps over this rule would be brought to jail. This day, around 400 people were moved to Krnjača which was subsequently completely overcrowded. A video published on facebook provides testimony of the situation . The police also visited other more invisible places and formerly tolerated venues where people stayed and showed extremely disrespectful and threatening behaviour towards both migrants and citizens. In the same vein large number of hostels in vicinity of the parks have been raided and some of them shut down. Preposterously, on August 13, 150 people were then kicked out of Krnjača in the middle of the night. The busdrivers that conduct the line to Krnjača were told not to take any migrants back to the city, thus leaving those kicked out with no other option than to walk three hours back to the city. This contradictory behaviour only depicts meticulously the arbitrary strategy of the Serbian authorities. There is a clear attempt to push people out of sight, into the invisibility of the camps, but there is no real capacity of doing so. 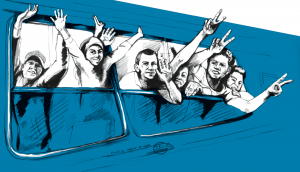 This leaves migrants and supporters in a limbo situation that is hard to cope with. The insecurity of what will happen the next day is having a significant influence on the general atmosphere in the parks, causing stress, trauma, auto-aggression and (psychological and physical) violence. Alongside the evictions of people from the parks, the structures supporting them have also come under strong pressure. 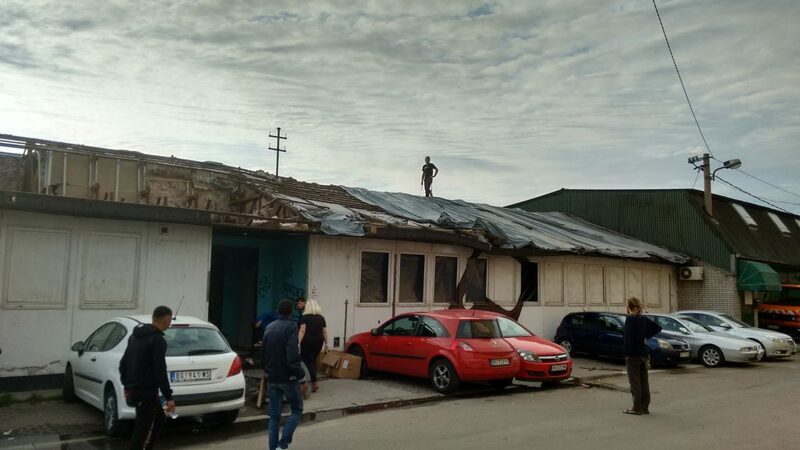 Miksalište is facing complaints from the neighbourhood and sanitary inspection was postponed daily for three weeks. 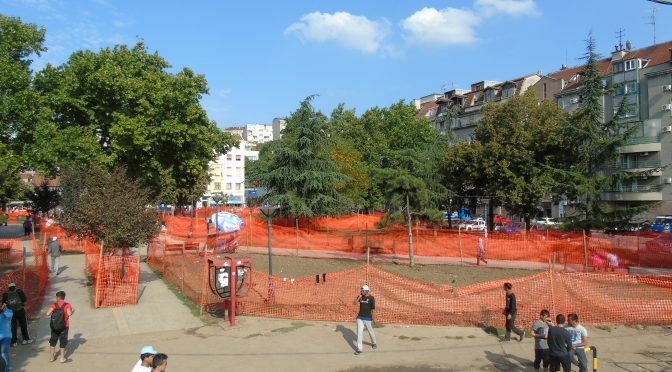 Info Park, which has already been under strong pressure from Commisariat to move out of the park in April and May, when old Miksalište and No Border Hostel were evicted and destroyed, got a new and final notice to leave the park on August 22 . Providing around one thousand meals a day, Info Park is a big support for people on the move and the eviction decreases support in the parks tremendously. Having been one of the countries where the situation for people on the move was considered less tense and more easy to rest in and travel through, Serbia is now making up big steps to get in line with the other countries on the “Balkan route“ – implementing strong control and repression on people on the move. Transforming from a short-time transit country into a place where people are stuck for longer time, the Serbian government is having a hard time controling the bigger number of people and implements policies that appear blind and incoherent. Since people are not transferred throughout the country by busses but redirected into the camps that stood empty since 2015, Serbia is (re-)constructing a category of “residing asylum seekers” that are to be processed in a governmental asylum process, thereby ignoring the reality that people intend to move on as soon as possible and that there actually is no bureaucratic apparatus to handle thousands of asylum processes. This goes along with growing racist tendencies in the population, officials and media, that used to be more neutral or at least indifferent. Removing people out of sight into remote camps is presented as an intermediate “solution“. Following the example of other countries of the European Border Regime, Serbia also finally introduced stronger border controls in an attempt to decrease the number of illegal arrivals. Since the number of people in Bulgaria might increase therefore, there is a stronger pressure for Bulgaria to control its borders as well. This lines up in a number of steps of the Border Regime to locate its physical outer land border on the Bulgarian-Turkish border such as increased Frontex operations in Bulgaria . The current attempts of the Serbian government to regain control on the situation can be read in context of the visit of an EU mission in the beginning of September to evaluate the progress in the EU integration process . The current chapters 23 and 24 deal amongst other with basic and humanitarian rights where the recent efforts on migration management can be used as an example of Serbia displaying European values and practices.